GENEVA (Reuters) – The World Health Organization (WHO) said on Tuesday that it expected to have to confront an outbreak of the deadly virus Ebola in West Africa for the next two to four months. But the United Nations agency said it was not recommending any travel restrictions to Guinea, which has a total of 157 suspected and confirmed cases including 101 deaths, or Liberia which has 21 suspected and confirmed cases including 10 deaths. “We fully expect to be engaged in this outbreak the next two to three to four months before we are comfortable that we are through it,” Dr. Keija Fukuda, WHO assistant director-general, told a Geneva news briefing. 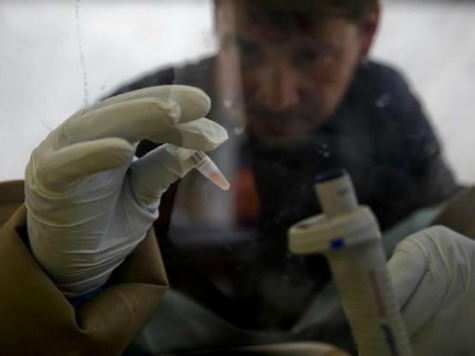 West Africa’s Ebola outbreak is among the “most chilling” ever to strike since the disease emerged four decades ago, the WHO said Tuesday, as the suspected death toll from the virus hit 111. “This is one of the most chilling Ebola outbreaks we have ever faced,” said Keiji Fukuda, assistant director-general of the World Health Organisation.